This course can be one of the most life-changing courses you may ever enrol on. Having completed your Open Water Certification, you are able to dive around the world in over 175 countries. This opens up a whole new world of discovery and introduces you to people you may have never met otherwise. Click this link for more course information: OWC-Referrals-Scuba Diver. If you would like more information or would like to speak to someone concerning this course, please feel free to give us a call, drop us an email, or use our contact form on the contact us page. Also eLearning is available for this course, scroll down for more details. Not Sure that you’re ready to start your Full Open Water Course, why not try our Discover Scuba Diving Experience? Looking to Further your dive Education? Below are links to all of our Course Descriptions and Further Information. If you cannot find the information or course you are looking for, then please call, email, or contact us using our contact form and we will be more than happy to help you out. For information on Divemaster, Assistant Instructor, and Instructor Courses, visit our Professional Diving Page. Are you a bit short on time? Worried about having to commit free time to sit in a classroom? Don’t Worry, enrol onto an eLearning Course and complete all the theory at home! Looking to move into the Professional Side of the Dive Industry? 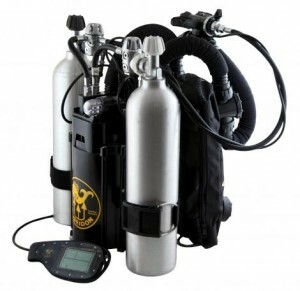 Interested in Technical Dive Training? Enter the world of no bubbles, longer No-Decompression Times, and forget the taste of dry air by completing the PADI Rebreather Diver Course. Click Here for more information.